It’s no surprise that retreats are engrained into Flywheel’s culture. It allows us to take a step back from our day-to-day lives, reflect on the past quarter, and look ahead to the following one. But, how does a creative company that’s rapidly scaling toward 200 people plan a fun and whimsical retreat, and not just another stuffy, corporate one? We think we cracked the code by using our best resource: Flywheelers! 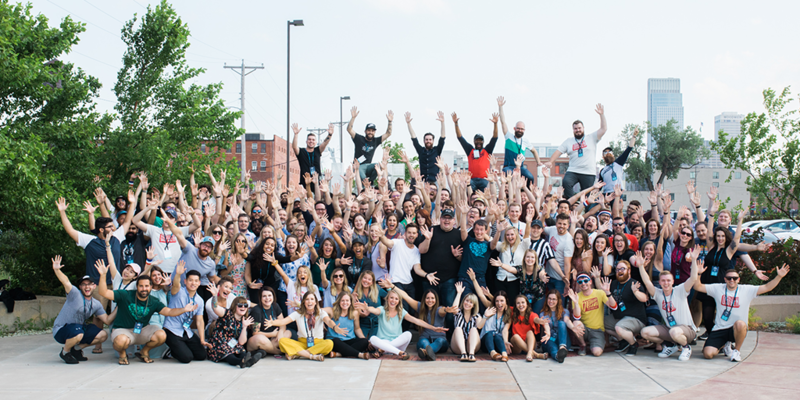 Instead of simply renting out a large convention hall and being talked at for two days, people from every single department came together to execute this summer’s retreat. We took the idea of a traditional retreat and flipped it inside out, examining what would work for us and what needed to be thrown out the window. The result? 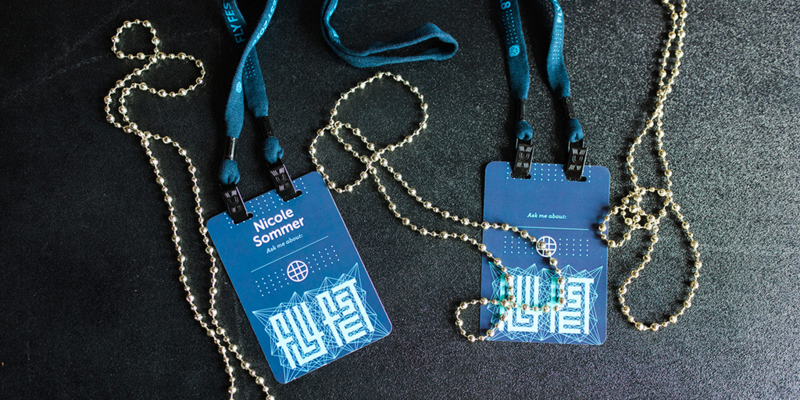 Fly Fest: a two-day, conference-style retreat put on by Flywheelers, for Flywheelers. Fly Fest wouldn’t have happened without our amazing team! The first spark of an idea for Fly Fest ignited within our people team, specifically our employee engagement superstars, Brett Hicks and Brooke Lehman. 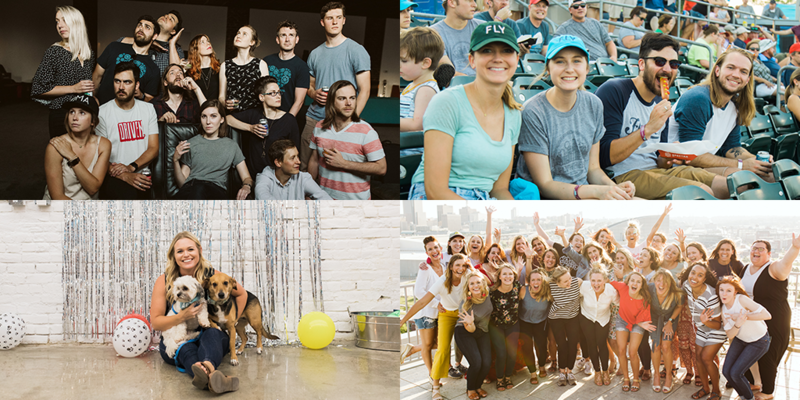 They loved the idea of creating an event that was entirely curated by Flywheel’s own team members, making it so much more meaningful for every single one of us. The people team began to structure programming and organizing day-of events, but in order for this to work, we needed to tap into the potentials of each and every one of our teams. Andrea Trew, Bryan North, and Rese Wynn (our dynamic design team) brought Fly Fest to life through impeccable design. They strategized what Fly Fest would represent, wove the retreat theme of being “product driven” into the works, and began creating mock-ups of t-shirts, lanyards, name badges, and even digital assets for our Fly Fest-branded website. Just one of the many pieces of swag that Andrea, Bryan, and Rese created for Fly Fest! The Fly Fest site, created by one of our happiness engineers, Josh Collinsworth, directed Flywheelers to the week’s festivities, a session-by-session breakdown of Flywheeler presentations, and even an FAQ section. This allowed our team members to decide which discussion would be most relevant to them, and they could sign up for each breakout session straight from the site! With only days away from the retreat, our remote employees began to arrive! There was a small concern bringing our international company to one location, since our remote employees help make the Flywheel support world go ‘round. Enter Johnny Leonovicz, Megan Pick, and Alex O’Neill, organizers of our All-Company Disco. These three separated the company into teams to make sure that sales and support were covered throughout the retreat (including shifts from 1-5 am, appropriately dubbed Nightwheel). Everyone from our marketing strategists to our data analysts were dialin’ for dollars and ensuring our customers around the world could sleep at night. 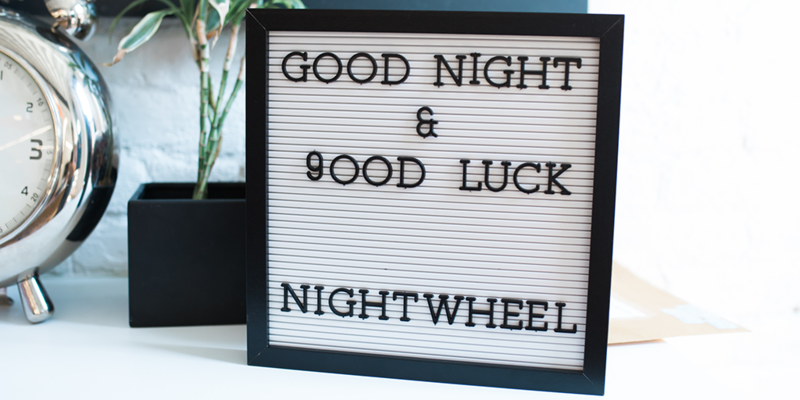 Nightwheel allowed our customers around the world to have awesome support, no matter what time it was here in Omaha! With the stage set, our employee engagement team stepped back in to make sure Fly Fest went on without a hitch! 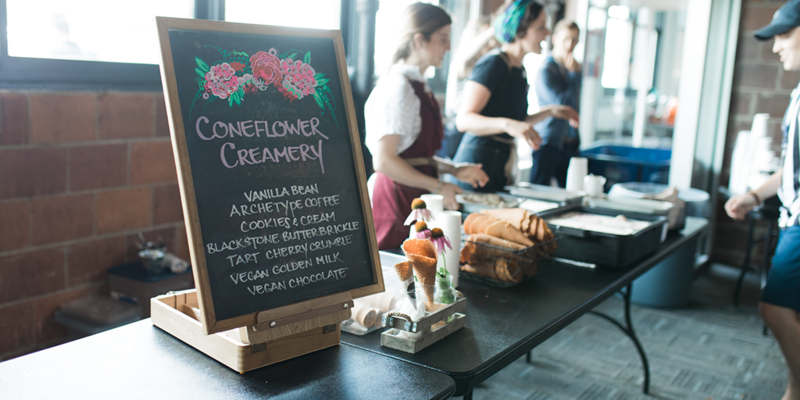 They organized everything from icebreakers to delicious meals from local restaurants and even surprise visits from The Grove Juicery and Coneflower Creamery (a few of Omaha’s favorites)! Brett and Brooke were rock stars, and we’re so thankful that they saw this event through from beginning to end. Coneflower Creamery surprised Flywheelers with some delicious ice cream on a hot July day! So, what’d we talk about for two days? Dusty Davidson, our CEO, caught us up on everything revenue-related, Rick Knudtson, our CPO, shared with us where the product roadmap is heading for the rest of 2018, and each team presented their wins and fails for the quarter in the only way Flywheel knows how: hilarious skits! The second half of the retreat mimicked a conference with Flywheelers as the featured speakers! Over a dozen of our very own team members stepped up and led 25-minute sessions throughout the day. The topics varied “Instagram is listening to me: how advertisers make you think this” to “the science of talking to angry people.” Some sessions were shaped as a Q&A surrounding our product updates, while others focused on high-level subjects like leadership and customer success. By the end of the day, we were feeling inspired and ready to take on Q3. But, not before we celebrated! Matt Hoover, one of our Fly Fest speakers, teaching fellow Flywheelers how to be data-informed! The final piece to our retreat (and the real reason why we have them) are the socials! Flywheelers organized events all over Omaha. One evening we hosted a puppy carnival (yup, you read that right) where more than a dozen dogs participated and lived their best lives. Another evening was spent at the HiFi House, a massive listening room with thousands of records to choose from. Other socials included wine and board games, hanging out with the remote team, and taking our families out to a Stormchasers baseball game at Werner Park. We’re not sure if we had more fun at Fly Fest or at the social events that followed! 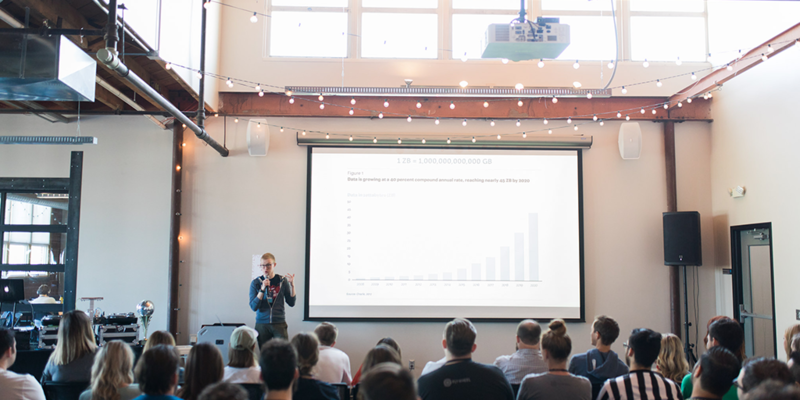 The week ended in the blink of an eye, and as our remote employees packed their bags, Flywheelers already began counting down the days until our next retreat. If Fly Fest taught us anything, it’s that whatever we do as a company, we do it better together!